Weddings are full of love, life and drama. You experience all the colours of life in a wedding. But usually a wedding is focused on a bride and we forget that the wedding is also the most memorable day for the groom. In fact, grooms enjoy the wedding day more than the bride. We always talk about jewellery for women, but what about men? They have an equal right to enjoy wearing accessories. Though there are limited options available for men but you can still make your outfit look grander. Take a look below at the list of accessories with which you can add more colours to your wedding world. You have a great variety in rings for men. 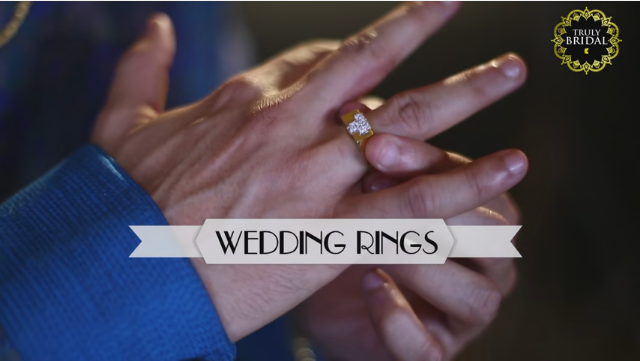 From traditional gold rings to elegant platinum bands, you can choose any ring which suits your taste and your partner’s. Wedding rings are supposed to be worn on the third finger because the nerve inside the third finger goes straight to the heart. So the ring would connect you to your better half’s heart. If you are a big fan of diamonds, then go for square cut diamond or small diamond in a platinum band. We get inspired by celebrities and copy their style of wearing a bracelet. But guys, your wedding is the time when you are actually the celeb and you are considered next to a movie star. So choose the right style of a bracelet with your outfit, flaunt it and be the star that the younger ones would follow. You can go with the shekel design bracelet in silver, white gold or platinum or you can make it look trendier by having a leather strand with a gold hook. You can also go with two-three gold bracelets with shekel design in different width. Raja and Maharajas have been a true inspiration for pearl neckpiece. Wear a dark coloured sherwani or pastel shade (a colour which suits you the most) with a multi-string pearl necklace. The necklace can also have beautiful broaches on two sides or may be on one side. Men in India are crazier than women when we talk about a gold chain. From thin gold chain too thick and heavy with bold pendant, men adorn all. You can have a huge variety which you can pair with the kind of outfit you are looking for. 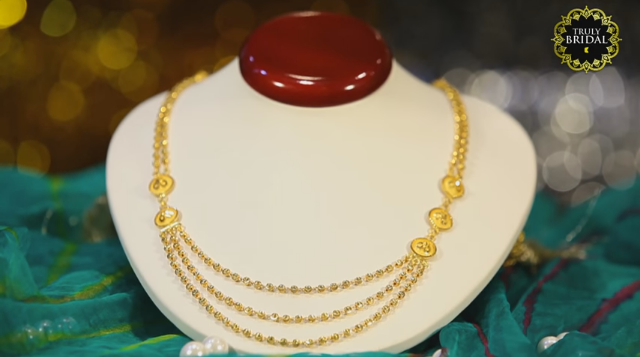 For family gatherings, you can wear a thick gold chain with heavy pendant (in white or yellow gold) and for the office; you can go with a thinner gold chain. Be it your wedding or functions before and after the wedding, you can choose to go with double pin brooch with multi-string pearl or Kundan chain with your sherwani. You also choose to wear it on the safa to make a mark. You can choose mango or leaf design for the wedding and a modern design brooch for the cocktail or other functions. If you love to experiment with your look, then you can wear diamond studs in your ears. If you want to go out to make a statement, then you can choose platinum or gold balis. Try at the store what could look good or better on you and just buy it. Your bachelor party would be even more fun with you being the centre of attraction and attention. A man’s class is judged by cufflinks he wears. With your black suit wear diamond studded cufflinks or cufflinks in white gold with an elegant design. You can also go with yellow gold depending upon how you choose to style your complete look. Want to know more? 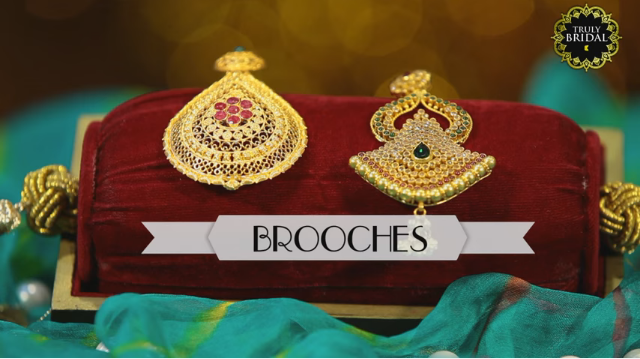 Check out this video where Kalyani Desai explains how you can rock your wedding look. 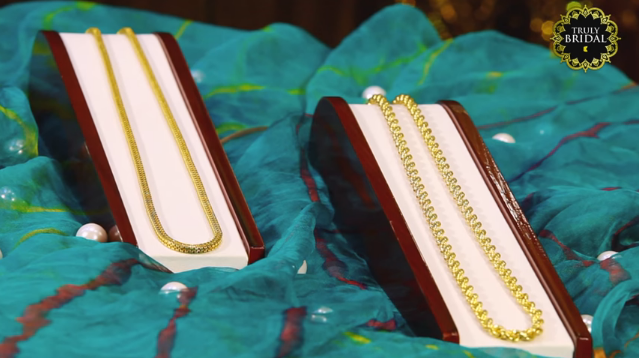 If you found this video helpful, do not forget to like, share and subscribe to the Truly Bridal by Kalyan Jewellers YouTube channel.